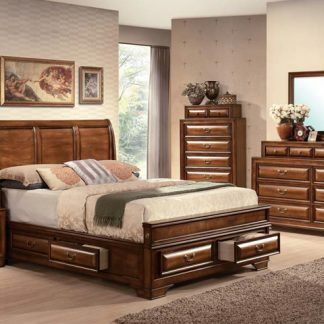 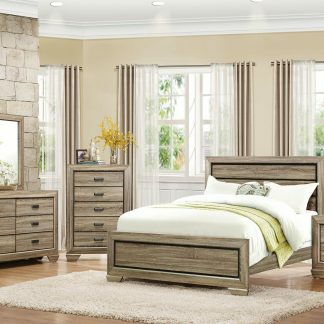 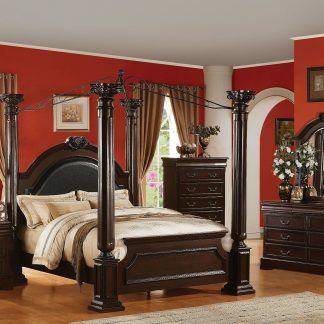 With two bed styles, a graceful sleigh bed or stately poster bed, The Deryn Park Collection allows you the flexibility to fit the scale of your bedroom. 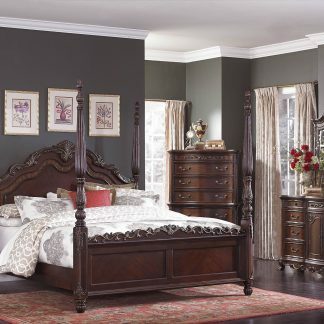 This set features a King or Queen with a Sleigh/Poster Frame, and comes with a free chest. 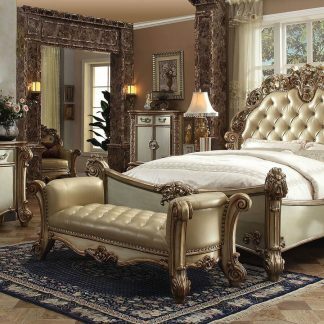 The dresser and mirror is sold separately.